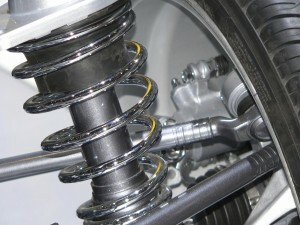 The suspension and alignment on your Mercedes Benz, BMW, or MINI is imperative to your safety. When the alignment is off or you need suspension repair, you do not have the same quality of control over your vehicle. Maintaining your suspension and alignment will avoid more costly repairs that can occur when suspension or alignment problems are not taken care of early. It also ensures you stay safe while steering your car. 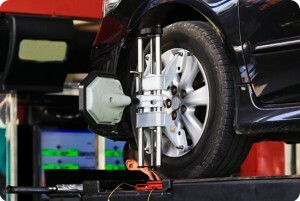 Having regular alignment and suspension service also reduces the wear on your tires and maximizes your fuel efficiency. As with all aspects of performance foreign car service, suspension and alignment repair require experienced care. Because our hand-picked technicians work exclusively with Mercedes Benz, BMW, and MINI we are uniquely equipped to handle suspension and alignment services for these performance foreign autos in Salem, OR. Many performance vehicles have suspension monitors which adjust the vehicle’s driving stability. You might see a light come on when your vehicle needs suspension repair. When your car needs suspension service you may experience difficulty turning, shimmying when turning or breaking, or noises while driving at higher speeds. If you have not had your Mercedes Benz, BMW, and MINI in for regular suspension maintenance, or you experience any of the symptoms listed above, it is time to bring your vehicle into Prestige Auto Repair in Salem, OR. When the alignment on your Mercedes Benz, BMW, MINI is off the wheels begin to resist steering commands. Undue wear is placed on the tires, causing faster, uneven reduction of the tread. The pull this creates on the vehicle also decreases fuel efficiency. If your foreign car alignment is off, you will likely see a dash light come on, indicating a problem. Other indicators that your performance vehicle is out of alignment include uneven wear on your tires, pulling to one direction, and steering wheel misalignment. If you notice any of these indicators, bring your vehicle into Prestige Auto Repair. Our alignment specialists in Salem, OR have the technology and experience to correct the exact alignment on your Mercedes, BMW, MINI. At Prestige Auto Repair we have over 50 years of combined experience with Mercedes Benz, BMW, MINI technicians. Our factory-level training, completed annually, combined with dealer experience, makes us pros in every aspect of the vehicles we service. Our commitment to stellar customer communication means we connect with you every step of the process. 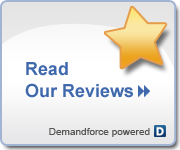 We keep you in the driver seat by discussing your vehicle’s needs and letting you dictate the service we perform. Contact us today for your suspension and alignment service on your Mercedes Benz, BMW, MINI.